Some of today's most successful golfers are men and women barely out of their teens. They're good because they made an early commitment to the game. If you are dedicated to upping your golf game, PureStrike Golf Academy offers a junior golf program. 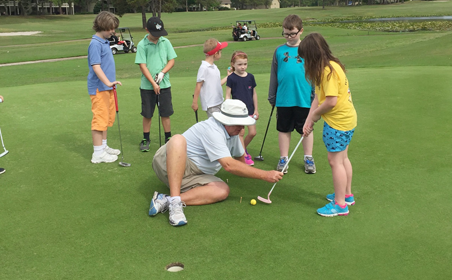 Junior Development Program—Golf - "A Sport of a Lifetime"
With a passion for junior golf, we developed our junior golf program and today it includes more than 50 junior golfers on the Florida panhandle. 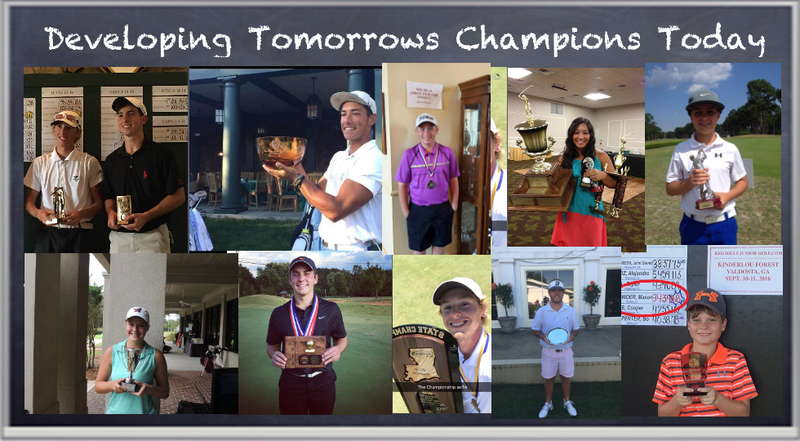 Over the last few years, golfers in the program have won more than 150 junior tournaments and many are highly ranked on the Junior Golf Scoreboard. The PureStrike Junior Development Program invites junior golfers of all skill levels, ages 6-18, to participate in a fun and engaging golf education experience. Students can participate in skills-based activities within their respective age group, promoting growth within their individual games. Whether a beginner or an avid player, our juniors can enjoy all the information and challenges that await them in the Junior Golf Program. 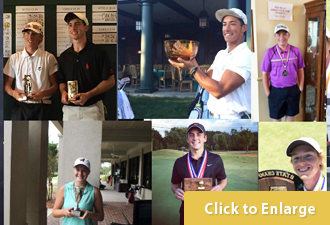 We give junior golfers a head start in today's competitive high school and college golf environment. The program is a Year-round Junior Golf Development Program. Costs is based on the selected yearly plan which is paid monthly and works similarly to a gym membership. The program includes private 60-minute lessons which can be used throughout the year. With lessons being used throughout the year, it provides parents with scheduling flexibility to accomadate for vacations and for junior golfer to participate in othe sports. Participation in other sports is an important key in athletic development. The lesson type will be at the discretion of the Director of Instruction and the needs of the junior golfer. The lesson type could be a short game, full swing, on-course training, or tournament prep. As schedule permits, we offer opportunities for what we call supervised practices. These are group lessons that are comparable to a study hall or open gym. These are opportunities for the junior golfers to work on their games under the watchful eye of coaches. Instructors make sure students are working on their assigned drills and applying the best possible practice techniques for continual improvement. It is also an opportunity to practice with like minded golfers in a more social type atmosphere. Though a level of structure is maintained, it is an opportunity for self-discovery.